Because we live in a fast-paced, technology-driven world, we are always looking to move on to the next thing as quickly as we can. In short, we are always looking to be as productive as we can in the least amount of time possible. In the culture we live in, it may seem impossible to actually have an orderly, calm life and maximize productivity. 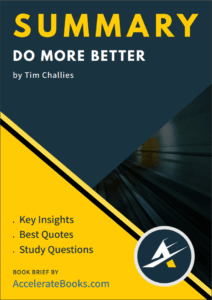 However, in Do More Better, Tim Challies offers guidance on how to do just that. He also asserts that making the best use of our time enables us to better glorify God. Challies’ central thesis is that the three keys to increasing productivity are: 1) understanding who God is and what He wants from us, 2) using available tools (such as helpful apps), and 3) monitoring our use of time. 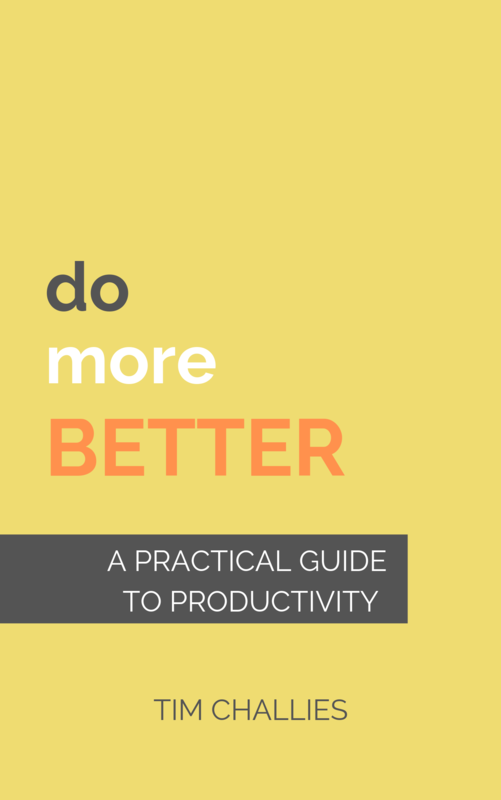 This short, punchy book offers a fresh take on productivity for those striving to achieve greater results on a daily basis. Whether you are a scholar, stay-at-home mom, or student this book will help you analyze and improve how you are using your time for the glory of God.